One of the major factors driving advancements in automotive technology is the desire for increasingly complex safety features. As it stands, automakers may still be decades away from having fully autonomous vehicles that leave no room for driver error – because there isn't one. But in the meantime, automakers are coming up with innovative new ways to help keep people safe from their own mistakes and those of other drivers. Here are five of the best new technologies you'll be seeing in cars some time soon. Many companies have been working on this type of technology for a while now, including BMW, Mercedes-Benz and tech giant Microsoft, but Harman International Industries may have beaten them all to the punch. Wired reported that Harman's European division has developed a system that recognizes predefined nods, winks and various hand gestures from the driver. This includes raising and lowering your hand over the gear shaft to change the temperature and tilting your head to the left and right for radio volume control. Recombu, a car news site in the U.K., reported that Harman's system is so advanced it can tell the difference between real gestures and accidental or unintended gestures from the driver. What does all this have to do with safety? Hands-off controls mean fewer distractions for the driver. Cars of the future will be safer than ever thanks to technological advancements by automakers. Falling asleep at the wheel is unfortunately a common cause of accidents, especially for truckers who spend long days and nights on the road. Volkswagen is working on a system that takes electronic steering to the next level, according to Popular Mechanics. The system works using a camera and other sensors that detect if the vehicle is experiencing any abnormal drifting patterns. The sensors communicate with a computer that interprets the severity of the situation, and takes control of the steering gear motor, if necessary, to keep the vehicle on a safe path. This technology is far from complete, however – as Popular Mechanics reported, the system cannot yet tell the difference between drifting and casually changing lanes. This will be a more active approach to lane departure warning systems that alert the driver if the vehicle begins drifting into other lanes without a turn signal. You can find various versions of such systems on newer used vehicles. Drivers often encounter blinding sun rays that cause them to flip the visor and reach for their sunglasses. But Popular Mechanics reported that Volkswagen is developing an electronic matrix inside the windshield to help block the rays. One sensor focuses on the position of the driver's eyes while the other measures the intensity of sunlight beaming the windshield. The system then creates a dark area where the sunlight meets the driver's eyes that changes with the direction of the vehicle. "New airbags will double the car's stopping power." How Stuff Works reported that Mercedes is designing an airbag system that helps stop a car when active safety sensors have determined an impact is imminent. The bags deploy beneath the vehicle and are coated with a substance that increases friction and doubles the car's stopping power. They also reduce the dipping motion that occurs as a vehicle is coming to a hard stop. It lifts the car 8 centimeters, which is enough to ease bumper-to-bumper contact and prevent passengers from slipping under their seatbelts. 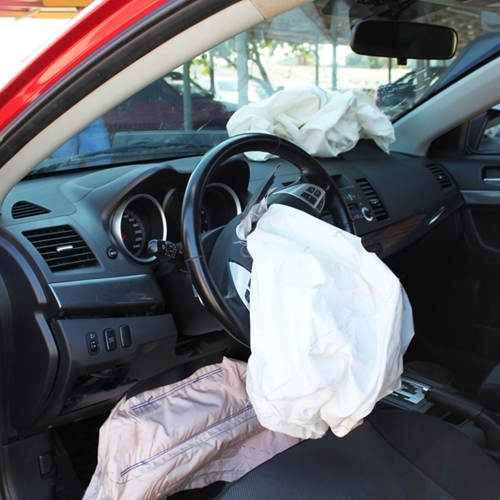 Airbag systems have become increasingly complex over the years, and you can already find plenty of cars with great airbag protection for the interior of the vehicle. Audi and other car makers already have vehicles on the road that can effectively swerve around a potential collision. But Audi is taking a few more steps in the fully autonomous direction with the zFAS central driver assistance controller, according to Automotive News. The zFAS uses two microchips – one that focuses ahead of the vehicle, and another that monitors areas around the vehicle. This helps determine the safest course of action the computer can take to avoid swerving around one object and prevent potentially colliding with another. The second generation of the zFAS will enable the chips to monitor each other as well, to provide backup in case one fails. Audi is also working with a number of other companies on overlapping sensors, radar systems and cameras to develop a fully comprehensive crash avoidance system. While it may be a few years before you start seeing features as advanced as the ones on this list in cars everywhere, rest assured that that they're on the way. 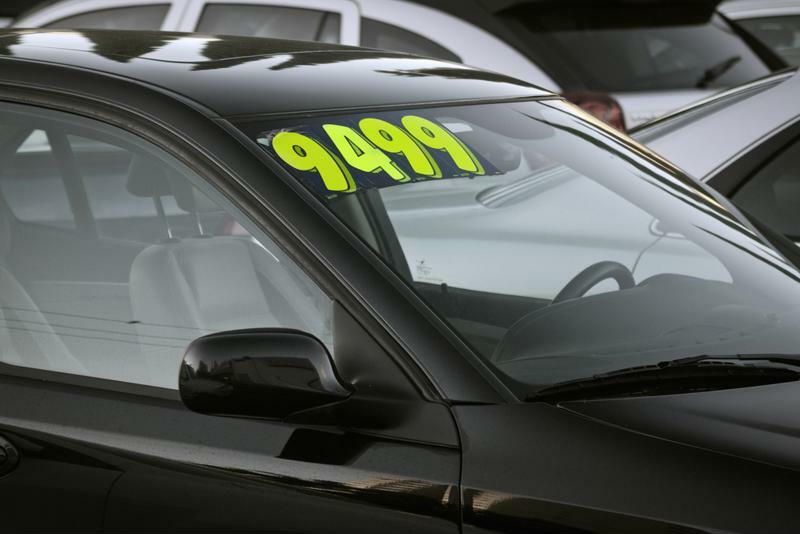 As for now, there are plenty of other active safety features you can find in used cars from New Jersey State Auto Auction. If you've ever driven a classic sports car, you've probably experienced the thrill of driving a little too fast while enjoying the power of the machine as you engage the clutch and shift the gears. You may have instead been exposed to a manual transmission when you tried learning to drive in your grandfather's old car – and failed miserably trying to start up a hill. You never could quite get the clutch right, could you? "Only 3.9% of new cars sold in 2013 had manual transmissions." But if the latter is the case, it should come as a pleasant surprise that, for the better part of the existence of the combustion engine, car makers and gear-heads alike have been trying to perfect the automatic alternative to the classic manual transmission. In fact, Edmunds reported that only 3.9 percent of all new cars sold in 2013 had manual transmissions, and 67 percent of the 2012 models were only available with automatics. According to How Stuff Works, all engines have what's known as a "red line," which is the maximum rpm an engine can operate at before it explodes. The transmission changes the gear ratio between the drive wheels and the engine so that the engine continues to operate below the red line as speed increases. 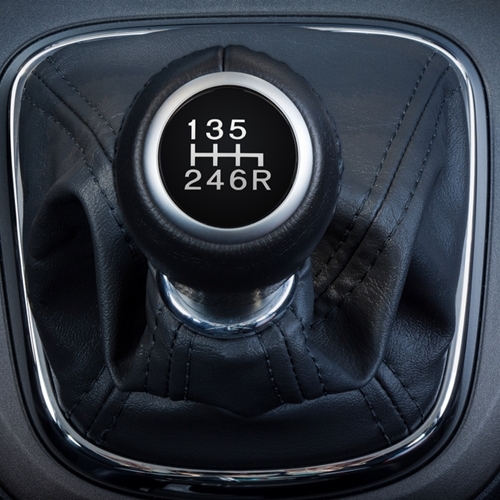 Manual transmissions have a set number of gears that the driver shifts between depending on speed and rpm. Automatic transmissions, on the other hand, utilize what's called a planetary gear system that allows one set of gears to provide different ratios, according to the source. The ideal transmission would allow infinitely flexible ratios, allowing the engine to always operate at its best. The continuously variable transmission is a newer form of automatic transmission that seeks to provide this perfect ratio scenario. 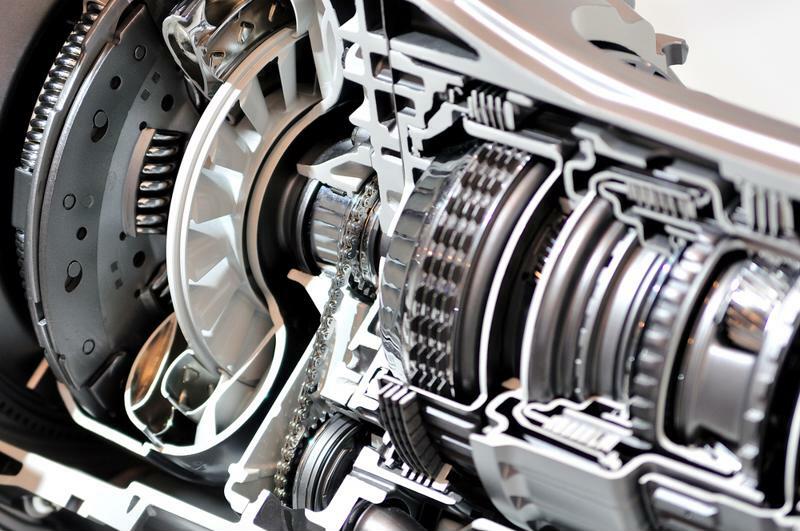 Advancements in technology have allowed car manufacturers to start incorporating the automatic CVT in newer cars, and that move may help seal the fate of manual transmissions. Automatic transmissions utilize a planetary system to maximize available ratios. According to Consumer Reports, manual transmissions can increase mileage by up to 5 mpg in some cases. Vehicles with manual transmissions are often cheaper than automatics by around $1,000. The New York Daily News reported that manual transmissions are easier to maintain – in general, the clutch is the only part that ever needs to be replaced, and a lot of people would argue that a good driver can make a clutch last a long time. Also, manuals are lubricated with gear oil, which doesn't break down as easily as automatic transmission fluid so it doesn't need to be changed as often, – if at all. Manual transmissions allow for more control over the vehicle – whereas automatics are constantly pushing the car forward when it's in drive, a manual only responds to the driver. Manual transmissions are no longer an option for a lot of cars, and are usually limited to small vehicles and sports cars. Driving stick requires more skill than an automatic – it takes practice to learn how to properly use the clutch, and improper use will lead to more wear and tear. Using two feet to drive can be uncomfortable for some people, which also depends on how the car is designed. Driving in the city is only fun if you truly enjoy driving a stick shift. Stop-and-go traffic can be a real hassle if you're driving a stick, and that kind of shifting can cause excessive wear on the clutch, according to Consumer Reports. Manuals may be harder to sell down the line, since they are less popular now than ever. An automatic is far easier to drive than a stick – all you do is put it into drive, reverse, park or neutral. While newer automatic transmissions are incorporating more gear choices, there's still little work to be done on the part of the driver. Automatics are great for the city – driving in traffic is considerably easier with an automatic, as there is no need to shift constantly with the ebb and flow of traffic. "There are far more options available with automatic transmissions." Car Talk pointed out that CVTs are as close as anyone has come to creating the perfect transmission, and their advent is helping automatics exceed manuals in terms of mileage. As the Edmunds statistics indicated, most manufacturers have significantly cut back on having stick shifts available for their models, so there are far more options available with an automatic. This also means there's a wide variety of used cars with an automatic transmission. The driver has less control over the performance of an automatic transmission because it does the shifting itself. According to Car Talk, automatics that aren't CVTs create a problem with gear slippage as they get up to higher speeds, hurting gas mileage. Despite advances in technology with CVTs and gear sensors, most automatic transmissions generally get lower mileage than their manual counterparts. Cars with automatic transmissions are usually more expensive than those with manual transmissions. This is especially true if they are equipped with the latest CVT transmissions which are also the best performing. Automatic transmissions are very complex machines due to the planetary gear system. If they break, it can cost a fortune to have them fixed or replaced. So if you consider that manual transmissions only get a few more mpg than automatics, and there are far more cars available with an automatic transmission, that's the way to go. Car Talk even went so far as to conclude, "the only good argument for buying a manual transmission these days is 'Because it's fun.'" But it's all up to you, the driver, to figure out what you're most comfortable with. Some people just love driving a stick. Whatever the case, pop into New Jersey State Auto Auction and have a look through their used car selection – chances are you'll find what you're looking for. New Jersey is home to some of the most amazing beaches on the East Coast, and while New York City is more known for its skyscrapers, it's got some pretty cool beach spots too. So if you're bumming around this summer and you're thinking of taking a road trip somewhere, why not consider these eight beaches in New York and New Jersey. Rebuilt following a massive fire in 1878, Cape May City is distinct from other New Jersey beach towns because it was reconstructed with colorful and interesting Victorian buildings – what's more, there are no big chain stores or restaurants to be found, according to CapeMay.com. It's technically an island, but it's also the southernmost tip of the Garden State. The fact that it's warded off corporate influence for well over a century has kept Cape May as beautiful and original as it always has been. If you're looking for an adventure on a summer day in New Jersey, take a quick trip to Cape May – spend the afternoon on the beach and hang around for a nice dinner on the water. "Spring Lake has NJ's longest non-commercial boardwalk." Sixty miles from downtown Manhattan, Spring Lake features the longest non-commercial boardwalk in New Jersey, according to SpringLakeBoro.org. The Travel Channel characterized the beaches of Spring Lake as some of the most refined in all of Jersey. While this seaside town is a popular spot in the summer with a budding tourist industry, there's only one hotel on the water – so you'd better book early if you plan on staying more than a day. The Breakers Hotel was built in the late 1800s, and while it's been renovated time and again to keep up with the Jones,' its exterior design maintains the hotel's classic charm. So if you fancy a relaxing afternoon on the beach and a quiet town to stroll through, Spring Lake is a good bet for you. If you're looking for the tourist-y beach spot where you can find, well, everyone else, look no further than Long Beach Island. LBI, as it's referred to by locals, is rich in night life and has 8 miles of beaches, according to the Travel Channel. LBI is the home of the famous original Ron Jon Surf Shop, which was built there in 1961. Since then, it's provided a valuable service to LBI's large surfing community – there are 19 spots that allow surfing along the beaches, the Travel Channel reported. If you're looking for a great time on the beach, LBI is the place to go. This popular seaside town, which is actually an island, was recently voted the No. 1 beach in New Jersey by NJ.com readers poll. Ocean City was founded in 1879 and remains one of the most popular family hotspots in the country. Originally intended to be used as a Christian beach and camping retreat, the town remains dry to this day – no alcohol is available anywhere on the island to honor this tradition, according to Ocean City's visitor information website. With 14 guarded beaches open all summer and a 2.5-mile boardwalk packed with shops and eateries, Ocean City is the family destination in New Jersey. Boardwalks are a great attraction for beach goers – they are often lined with shops and restaurants, and some even have amusement piers. The Wildwood area in New Jersey has 5 miles of beaches for tourists and local beach bums alike to sprawl out. Wildwood is home to the 1950s and 1960s doo-wop movement -Chubby Checkers debuted the Twist at the famous Rainbow Club, according to the Travel Channel. 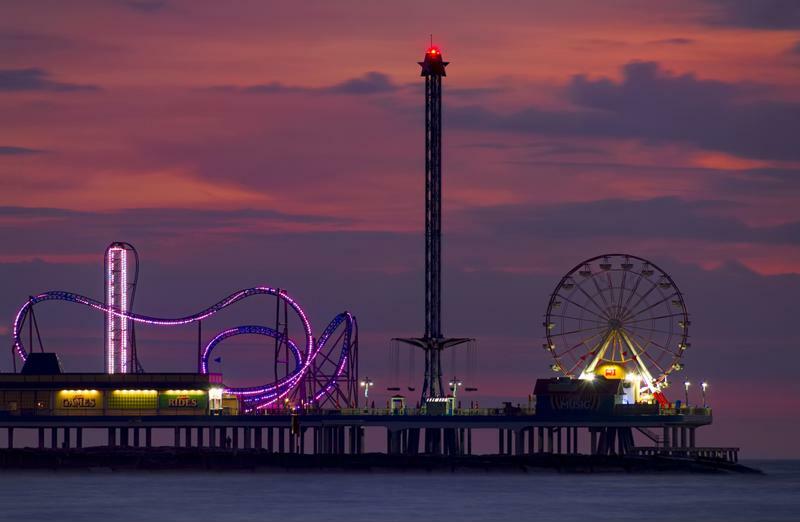 Of course, it has a beautiful boardwalk, but it's also home to Morey's Piers – a three-pier amusement park that's the largest of its kind in the world, according to Visit NJ. With plenty for kids to do during the day and lots of nighttime entertainment for adults, Wildwood is a great place for a quick road trip. Staten Island has more beaches than any other New York City borough, which includes the Franklin D. Roosevelt Boardwalk and Beach, according to NYC Go. The FDR Boardwalk stretches for 2.5 miles, and if you continue walking, lo and behold – you will find more beaches. Cedar Grove Beach is the newest addition to Staten Island's beaches, and it's only been open to the public for a few years. As such, it's not a very well-known spot, so if you're looking to take a nice day trip somewhere that isn't drawing a huge crowd, this might be the spot for you. "Rockaway Beach is home to NYC's only two surfing spots." Its name and reputation might say it all, but this world-famous spot in Brooklyn is home to 3 miles of beach. Not to mention, Coney Island still has a healthy supply of new and classic amusement rides that give the Coney skyline its classic appearance. Check it out if you're looking for an interesting spot that has more than just a beach to draw you in. Whether or not you're a fan of The Ramones, you might have heard their song about this real-life beach in New York City. The legendary Queens beachfront is the largest urban beach in the U.S., according to NYC Go. It's also home to the only surfing beach in New York City, making it a stand-out attraction for serious beach-goers. There's plenty else to do in this area, with a cluster of shops and restaurants nearby and of course, a boardwalk. Distracted driving has been an issue with motorists since the dawn of the age of the automobile. Early traffic enforcement agencies were concerned with drivers reading their mail, and when windshield wipers came out, people were worried the regular motion would put drivers to sleep or hypnotize them, according to the Insurance Institute for Highway Safety. Even car radios were expected to create trouble – when car makers began installing them in the 1930s, legislators made moves to ban them for fear that they would cause crashes. Not surprisingly, as the technological age has provided people with mobile devices that never leave their hands and onboard computers that offer a range of services inside the vehicle, distracted driving has remained a huge problem, especially for young drivers. 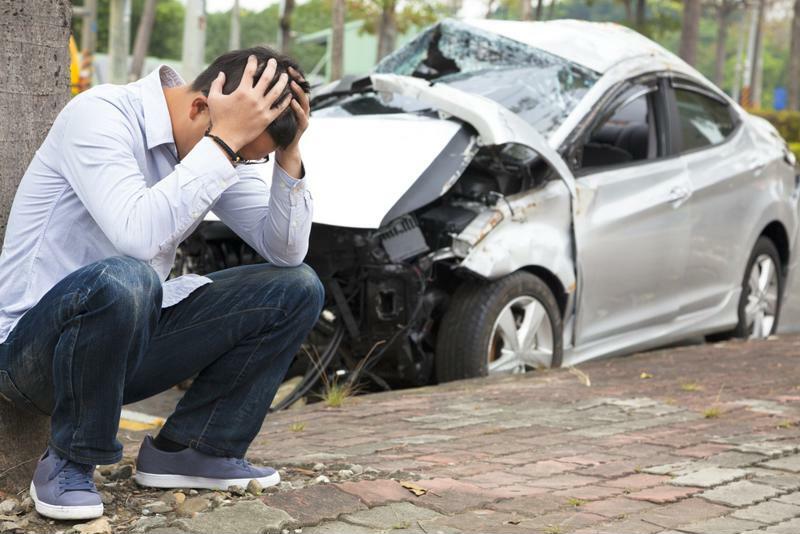 "Distracted driving caused 16% of all crashes in 2012." Studies in the 1970s concluded that distracted driving was the cause of 15 percent of all crashes, and that number has remained relatively consistent – 16 percent of all auto crashes in 2012 were attributed to distracted driving, the IIHS reported. While current campaigns are focusing on cellphone usage as the No. 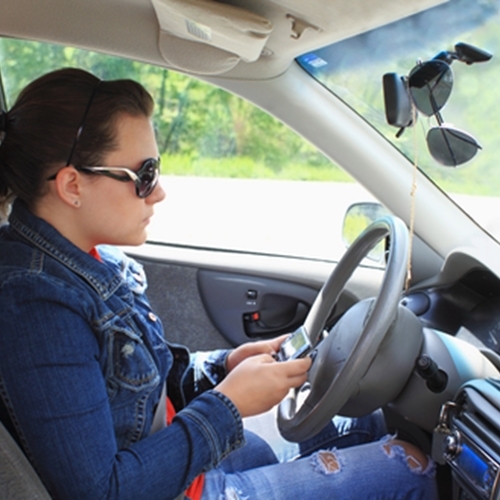 1 distraction for drivers, a number of other factors can distract drivers as well. Of all the distraction-related deaths in 2012, 88 percent were attributed to something other than a cellphone. The Erie Insurance company partnered with the IIHS to conduct an analysis of data from the Fatality Analysis Reporting System to look closer at driver distractions other than cellphone usage. The researchers found that 62 percent of distracted drivers between 2010 and 2011 reported being generally distracted or lost in thought. Cellphone usage was the next leading cause at 12 percent, followed by rubbernecking – or starting at something outside the vehicle – at 7 percent and distraction by passengers in the vehicle at 5 percent. But because the numbers are based on police opinions filed in reports from crash scenes and drivers that may have been dishonest about their true distractions, there's a chance many of the "generally distracted" drivers were focusing on something other than their daydreams. While that points to a wide range of potential distracters, statistics presented by the National Highway Traffic Safety Administration seem to indicate cellphone usage as the likely culprit in many distracted driving accidents, even if it isn't always reported as such. Distracted driving has caused far more accidents than it should. According to the NHTSA, people in the U.S. and all its territories were sending an average of 153.3 billion text messages per month as of December 2013. That same year, 3,154 people were killed, and an additional 424,000 were injured, in accidents caused by distracted driving. An average of 660,000 U.S. drivers can be caught using their cellphones while driving at any given moment during the day. Cellphones, more often than not, have become the center of our attention, and this is particularly a huge problem among teenagers who drive. The NHTSA reported that traffic crashes are the leading cause of teenage deaths, and 10 percent of traffic fatalities in people under 20 years old were the result of distracted driving. While the NHTSA cites numerous reasons for teenage distractions – such as grooming, eating, using navigation systems and even watching videos – texting is by far the worst distraction for anyone. It requires one hand to do the typing, the eyes to guide the hand and read messages, and the brain to focus on the conversation. The average time spent looking at a text conversation while driving is about five seconds, and at 55 mph, that's the equivalent of driving the entire length of a football field blindfolded, the NHTSA reported. The result is a staggering amount of unnecessary deaths and injuries, which prompted a huge campaign by lawmakers and transportation safety groups to try and stop cellphone-related accidents. "Traffic crashes are the leading cause of teenage deaths." Many legislators have sought to hinder distracted driving by passing laws banning all cellphone use. Forty-five states in the U.S. have banned texting while driving altogether, and 40 of those consider it a primary law – which means officers don't need any other reason to pull drivers over if they are using a cellphone, according to the NHTSA. But the IIHS reported that while cellphone bans while driving have dropped the percentage of observed drivers on their cellphones, the number of crashes has not decreased as expected. This may be because drivers who switch to hands-free calling are still too distracted by their conversations, or perhaps bans just encourage people to be more discreet while using their phones behind the wheel. 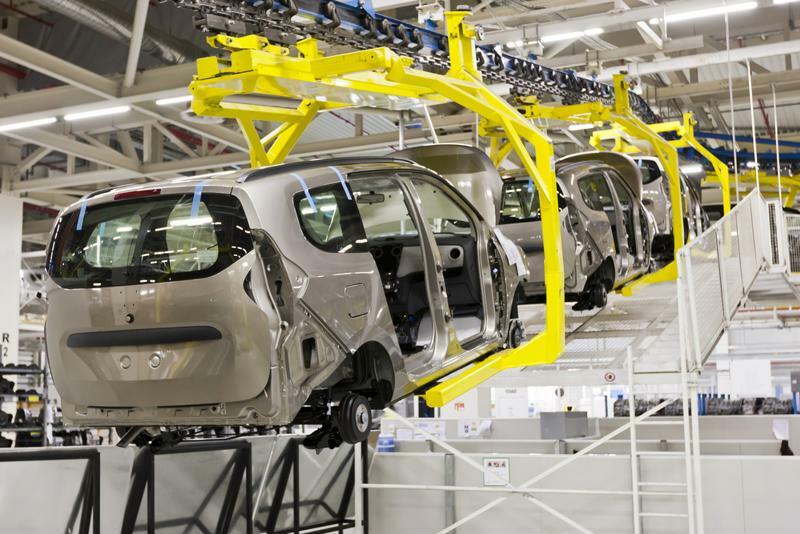 Whatever the case, the automobile industry is taking preventative measures of their own. Automakers are trying to help fight distracted driving through the use of front crash prevention technology. The IIHS reported that as many as 1.9 million crashes could be prevented in the future if all vehicles were equipped with high-performance prevention systems. But it may take up to 30 years for the auto industry to fully adopt such features as standard on all vehicles – at the rate of distracted driving deaths in 2013, just under 95,000 lives that may be lost in that time. That's a long time to wait for an entire industry to help prevent people from getting into accidents because they weren't paying attention. The bottom line is that awareness and education will be the best ways to prevent driver distractions, and that falls on people taking responsibility for themselves. The NHTSA and other government agencies are calling on parents and teachers to educate their kids on driver safety. That also means adults need to lead by example, and show teenagers that it is not OK to text and drive or engage in other distracting behaviors while operating a vehicle. The National Safety Council has declared April as Districted Driving Awareness Month, and there are plenty of ways to help spread awareness. Check out their website for more information, and remember – the stakes are far too high to get that last message in five minutes before arriving at home – it may cost a life. And don't forget that avoiding distractions is only one piece of the driving safety puzzle. 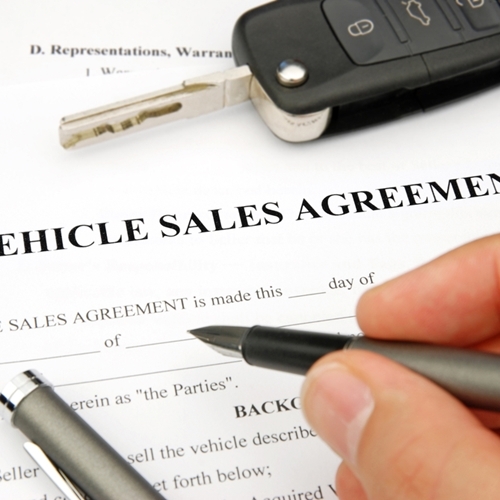 You can find a great used car loaded with safety features at New Jersey State Auto Auction to help keep your family safe. 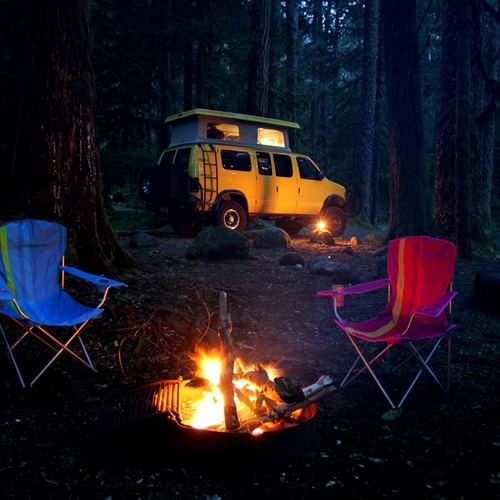 Summertime probably means you'll be taking a road trip to somewhere at some point. Maybe you're driving an hour to the nearest beach or heading out on a long journey across country. Regardless, the absolute last thing you want is to have your car break down while you're in the middle of a trip, especially if it's due to something you could have easily prevented. So whether you're driving a Mercedes-Benz or a Ford, do the smart thing this summer and follow these simple tips to avoid a breakdown. "Are you properly maintaining your vehicle?" The first question you should be asking yourself when considering your car's well-being is, "Am I properly maintaining my vehicle?" Whether you've had your vehicle for a few years or you've just acquired a used car, be aware of the manufacturer's recommended maintenance schedule. You can find it in your owner's manual, which you should probably look through if you haven't already. The schedule will include recommendations for fluid changes, tire rotations and other services based on your vehicle's mileage. Some of the things you might see are detailed in the list below that you can either check yourself, or have your mechanic inspect to be sure you and your car are up to speed. The National Highway Transportation Safety Administration reported that low tire pressure is the leading cause of blowouts. Check your tire pressure when the tires are cold, or when you haven't driven on them for any considerable distance, the NHTSA said. The manufacturer's recommended tire pressure can be found on the inside of your driver-side door panel. It's a good idea to keep a tire-pressure gauge in your car, so you'll always be able to tell whether or not you need some air. You should ensure your tires are still in good condition, especially if you're switching back to summer tires from winter tires. Inspect each tire for any cracking or potential leaks, especially if you've checked the pressure and found it to be low. You should also check the tread using the penny trick, the NHTSA recommended. Rest a penny in the tread, with Lincoln's face upside-down – if you can see the top of his head you should probably have your tires replaced. If not, you're all set. If the tires seem to have uneven wear patterns, they may need to be re-aligned, according to the NHTSA. Have your mechanic inspect the alignment and rotate the tires if necessary. This will ensure they wear evenly and prolong their life. 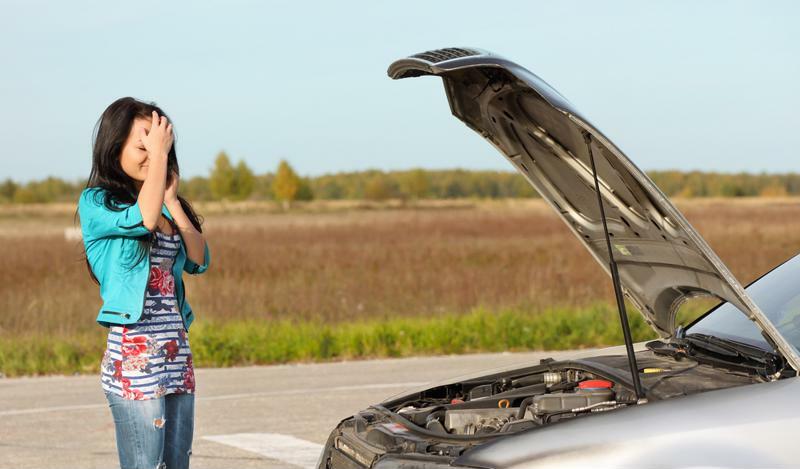 Overheating on the highway is a common occurrence in the summer time, so keeping tabs on the health of your radiator system is very important. Car Talk reported that it's crucial to check the radiator core, especially if you live in an area where salt is used heavily on roads in the winter, as it can rot the tubes that carry the coolant. Have a mechanic test the core to see if the tubes are showing any signs of corrosion. The coolant itself should also be full and healthy. Most coolants nowadays last between 60,000 and 100,000 miles, but if your car is in that range you may need to replace it, according to Car Talk. Before you even ask, yes, you still need antifreeze in the summer. Antifreeze has a much higher boiling point than water and it will help keep the engine cool in extreme temperatures. The thermostat must also be working well if you're going to keep the engine cool. If the thermostat is stuck, all the coolant in the world won't keep your engine from overheating, according to Car Talk. "Change your oil and filter every 5,000 miles." If you don't have enough oil in your engine, you risk severe damage or even seizure. This will not only stop you in your tracks, it will cost you a fortune to replace the engine if it seizes. So, always check your oil level before heading out on a long trip. It's also essential to make sure you're changing the oil regularly. Most manufacturers recommend changing the oil and filter every 5,000 miles, Car Talk said. If you change the oil and it gets dirty quickly, you may need an engine flush to help remove excess dirt and residue buildup. The same is true for your transmission fluid. While it doesn't need to be replaced nearly as often as oil, sustained high temperatures and bad transmission fluid don't mix. You can look at it yourself – good fluid should look reddish-brown while fluid that needs to be changed will be very dark and may not have any red tinge left at all. If it looks bad, have the transmission flushed and the fluid replaced. This one is a no-brainer. Nobody wants to be stuck in a hot car in the summertime, and having the air conditioner checked is the best way to prevent that. Start by running the air conditioner and testing how cold it is. If it's not pumping cold air, you might need to have it serviced. How Stuff Works said that low refrigerant is the leading cause of faulty air conditioners. Have a mechanic ensure you have enough refrigerant and more importantly, that none is leaking. Some cars also come equipped with a cabin air filter, which cleans the air as it's pumped through the vents and into the vehicle. You want to be sure the filter is clean, so check your owner's manual to see if your car has one and where it is. Once you've ensured everything else on this list is in working order, be sure to follow proper safety procedures inside the car as well. Everyone riding in the vehicle must be buckled at all times. When traveling with young children, they need to be properly restrained in the back seat. The NHTSA has a slew of safety guidelines that not all available car seats adhere to. If you're a new parent, read through the NHTSA's guidelines to ensure you're doing it right from the start. It's also recommended that you buckle all unused seatbelts so that children will be less likely to become entangled if they're playing around in the backseat. 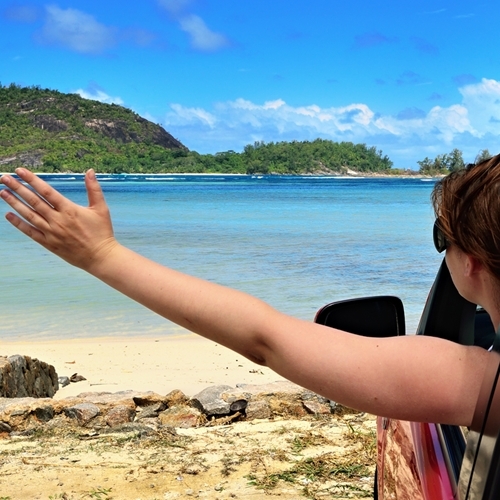 Stick to these guidelines and you're likely to avoid any serious bumps on your summer road trip. 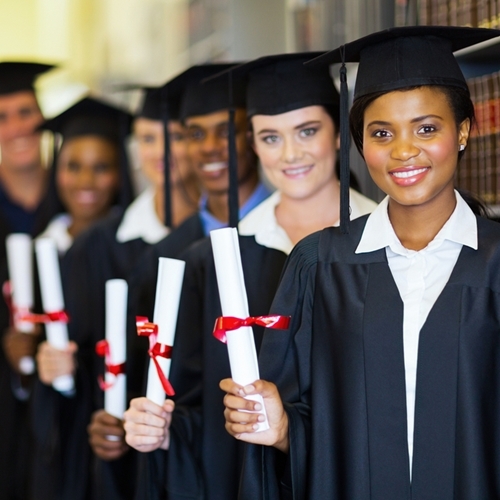 It's graduation season, and that probably means a lot of things for you and your family. If you're a parent, watching your child cross the stage and exit into the world as a young adult is a proud and emotional moment. You might even feel so inclined as to reward your offspring for his academic achievements – handsomely. If you're the graduate, you're probably thinking you deserve the same thing. As it so often happens on graduation days, this mutual feeling of accomplishment between parent and graduate may materialize itself in the form of a car. If Junior hasn't asked for a set of wheels yet, he probably will, so you might as well be prepared. "Your grad doesn't need a brand new sports car." That said, and as much as you may want to reward your graduate, you don't need to empty your savings account to buy him a brand new sports car. Instead, consider shopping for a used vehicle – one with decent mileage, safety features and style that will still keep your graduate safe while he rides in style. To help you out, we've compiled a list of our 10 favorite used cars under $10,000 – some that maximize safety features and gas mileage, others that Junior will just love. The VW Rabbit is the German automaker's replacement for the Golf. Sporty in style and feel with a great interior, this hatchback is a versatile and appealing option for college-bound high school grads. It was in Consumer Reports' top three list of small cars in this price range, and we're placing it at the top of our list. Yes, it's a compact car, but it holds the 2009 Top Safety Pick award from the Insurance Institute for Highway Safety. Not to mention it gets 22 mpg in the city and 30 mpg on the highway. It almost goes without saying that this would be a great gift for your grad – it's a Beemer. Every teenager dreams of driving a BMW someday, so maybe you can make that dream a reality on graduation day without breaking the bank. This model has a quick V-6 engine and a luxurious interior. It gets 25 mpg on the highway and has electronic stability control to help keep Junior on the road. Did we mention you can pick this BMW up for less than $10,000? Luxury and sport combine to offer you this affordable sedan. It comes with curtain airbags and carries a 4.6-star crash test rating from the National Highway Traffic Safety Administration. Loaded with a V-6, it gets 18 mpg in the city and 26 mpg on the highway. Fuel-efficient and stylish, this one's a no-brainer. Consumer Reports said "this car has everything most shoppers want in a small car," and we tend to agree. Comfortable seats, sleek interior design and a choice between a hatchback and sedan make this a perfect car for a recent grad. It gets 22 mpg in the city and 29 mpg on the highway, and Kelley Blue Book reported that the sport-model Mazda 3s from 2008 were all equipped with side-impact and side-curtain airbags, making them safer than previous versions. This spacious and stylish wagon has a 115-volt outlet on the console and plenty of cargo space, making it a perfect fit for active and adventurous youth. It's great on gas at 33 mpg on the highway and carries a five-star overall driver and passenger front impact safety rating from the NHTSA. The mutual feeling of accomplishment between parent and grad may materialize itself in the form of a car. Yahoo! Autos called the Pilot the best combination of a "wagon, SUV and minivan." The Pilot is enormous – it's capable of seating eight people and the seats are adjustable to make room for plenty of cargo. With a powerful V-6 engine and four-wheel drive, the Pilot will take your graduate just about anywhere he wants to go – all with an average 27 mpg on the highway and 20 mpg in the city. The NHTSA gave the 2005 Pilot a five-star crash rating and four stars for the rollover test. The Outlander is a sporty SUV with a third seat option for optimal seating and a 30 gigabyte hard drive for on-board navigation and other technologies. Your grad can store up to 6 GB of music on this bad boy, and with a five-star crash rating from the NHTSA it might be one of the best options if you're looking for an SUV. Not to mention, it gets 20 mpg in the city and 30 mpg on the highway. Humble yet sharp in style, this midsize sedan is considered a large car by the Environmental Protection Agency because there's so much room in the interior, according to KBB. One of the Sonata's selling points is that it comes with a slew of great safety features, including active front head restraints, electronic stability control and an air purification system that self-activates when it senses too many air pollutants, such as diesel fumes. It has a five-star safety rating from the NHTSA and the V-6 engine gets up to 30 mpg on the highway. "The Sonata comes with a slew of great safety features." A very compact car with adjustable seats, the Fit might be a perfect option for a grad with his own style. It has an interesting look that took Americans by surprise when it made its debut in 2006, but has since become a popular model among small cars. Don't let the size fool you – with adjustable seats, the Fit can hold up to 41.9 cubic feet of cargo if you really know to pack it in there. That might even be room enough for everything your grad needs to take to college. With five-star front and rear impact ratings from the NHTSA and an average of 38 mpg on the highway – the best mileage on this list – you can't go wrong. People didn't know what to make of the Mini Cooper when it first showed up on American streets. Thanks to movies like The Italian Job, the compact British car has earned its place in the hearts of auto fanatics and Sunday drivers alike. It has a style all of its own that's sure to attract attention for your grad as he cruises around campus. With a four-star overall safety rating form the NHTSA and up to 33 mpg on the highway, this is a great option for a grad that just wants something different.